Short Sports is the most exciting way for your child to learn and play every different kind of sport in one of the most prestigious venues in the country. 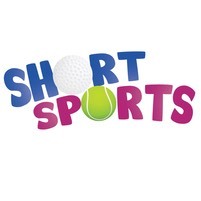 Short Sports�provides young children, aged 2 to 8 yrs, with fun sessions incorporating social, educational and sports related skills: independance, co-operation, team work, competition, discipline, empathy, agility, balance, coordination and speed plus foundation sports skills in our clubs key sports of Cricket, Hockey, Squash and Tennis. If there is not a class at a suitable time more classes will be arranged subject to coach/facility availability and a min of 4 children participating. There is a one off registration fee of �25 which allows you to book your child onto our courses. On registration your child will receive a short sports tee shirt and a short sports club card that gives access to the club house and a 25% discount on selected drink/snack purchases. To book on a course or make an enquiry please send an email to shortsports@twcsport.co.uk and include the childs name and date of birth.